Hearing Care | London, ON | Beck Hearing Aid Centre Inc.
Don't let hearing loss hold you back. Contact us today for your free assessment and consultation. Beck Hearing Aid Centre is proud to be the oldest independently operated hearing clinic in Southwestern Ontario, celebrating 50 years in 2019. We are a family owned and operated clinic, and pride ourselves on our unsurpassed, patient-centred care. At Beck, we believe that better hearing means better living, and our goal is to provide the best individualized hearing healthcare for every lifestyle and every budget. We are registered with the Ontario Ministry of Health’s “Assistive Devices Program” (ADP). We also service Green Shield, ODSP, DVA, OW and WSIB, and offer help filling out and filing any medical forms associated with these programs. We are an accredited member of the Association of Hearing Instrument Practitioners of Ontario (AHIP). We offer a wide variety of hearing aid products and accessories provided by leading manufacturers equipped with the latest technology. Ask about our wide range of iPhone and smartphone compatible devices. 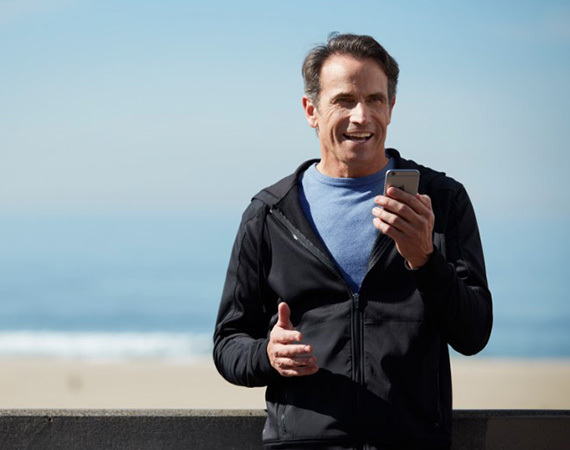 Control your hearing aid from your phone, and stream your calls directly into your devices. We offer free batteries for the first year of your new device, as well as free cleaning and checks, repairs, and counselling. Do you find yourself withdrawing from social events because you have trouble hearing people's words? Is it difficult to understand your grandchildren, or hear in a crowded restaurant? Don't let something as common and easily treatable as hearing loss slow you down. 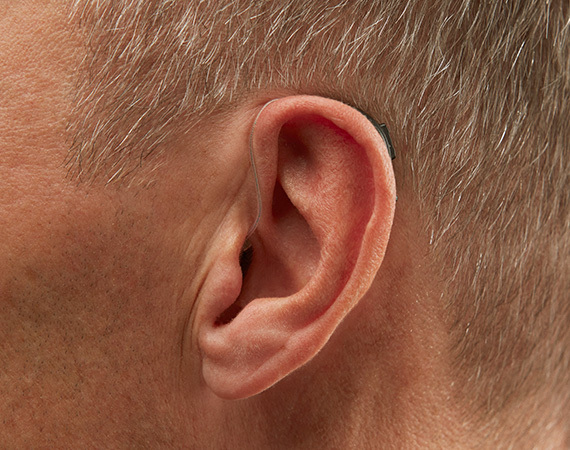 of people with hearing loss would benefit from the use of a hearing aid. Today's technology is powerful and discreet, and most of our devices are less noticeable than eyeglasses. On entering the office, I was greeted by a pleasant young lady sitting at her desk and she told me I should have a seat for a moment as she had to look after some other clients. While I was sitting waiting I was impressed by her honest, pleasant way of talking to the people standing at her desk. There was no pushing to get them to think highly of the office as is quite often. They came away from the meeting with very pleasant looks on their faces. I became aware in my business and social circles that I constantly had to have people repeat words spoken to me, particularly females, so I arranged to have a free Beck Hearing Test which was comfortably done. It was determined quickly that I had lost much of my high frequency hearing and thus the ability to decipher words spoken. Beck solved my problem quickly by prescribing the correct hearing devices using their advanced computer process. This unobtrusive assistance has improved the quality of my life. I would truly like to thank you all for the wonderful service I get whenever I seem to have a problem with my dad's hearing aids. I feel like I know you all so well and Kayla is always so understanding, especially when I feel like I call quite often. Kayla makes me feel welcoming like the "come on in and we will fix up your dad's problems or tune up his aids". Ashley is so friendly and when we leave all finished the appointment we feel so at ease and don't think twice to call back if they still need a little more tweaking. This has turned out to be a great experience considering my dad would have never agreed to hearing aids before but your staff has made it a great experience.